You are here: Home / Crochet Other / Reviews / I Like Crochet! I recently received a copy of the December 2014 issue of I Like Crochet! to review and it is fantastic! 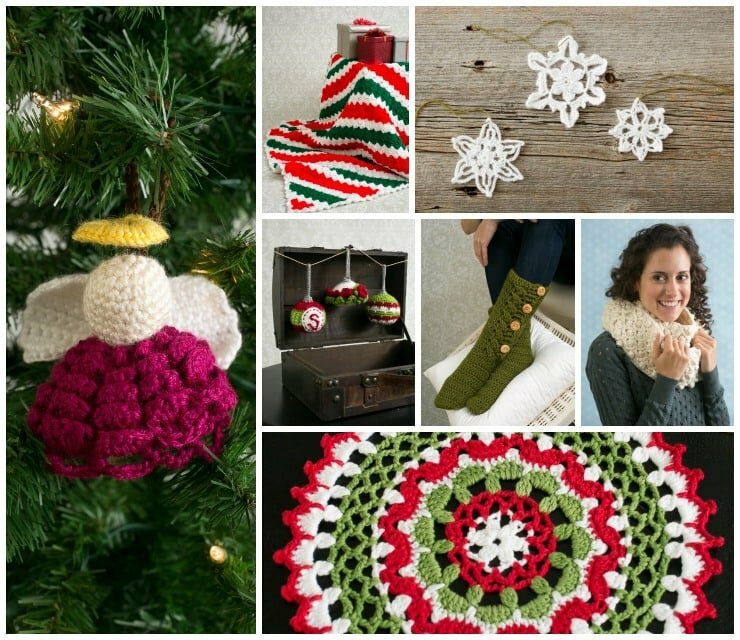 There are many festive patterns available in this issue – many of the projects would be perfect for gift giving! There are more than 30 patterns included in this issue – if I had to pick my favourites they would be: the Frosted Snowflake Cowl, the Peppermint Pinwheel Stocking and the Festive Lace Doily. 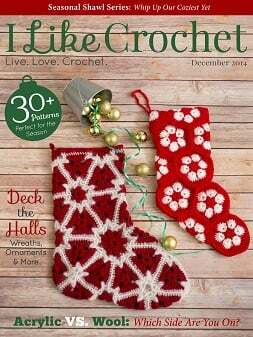 You can view all the patterns and tutorials included in the December 2014 Issue here: Table of Contents for December 2014, I Like Crochet! I especially like the subscription options available for I Like Crochet! You can subscribe for website access, website and tablet access or just tablet access. • Make your winter whimsical with cozy shawls, cowls, mittens and scarves! • Shine bright for New Year’s Eve with glamorous projects that dazzle (and sparkle).